All wires are 100% tailor-made for each customer with best quality materials, including certified UL1007 18AWG wires and gold plated pins. You can choose any wire colors and cable length! 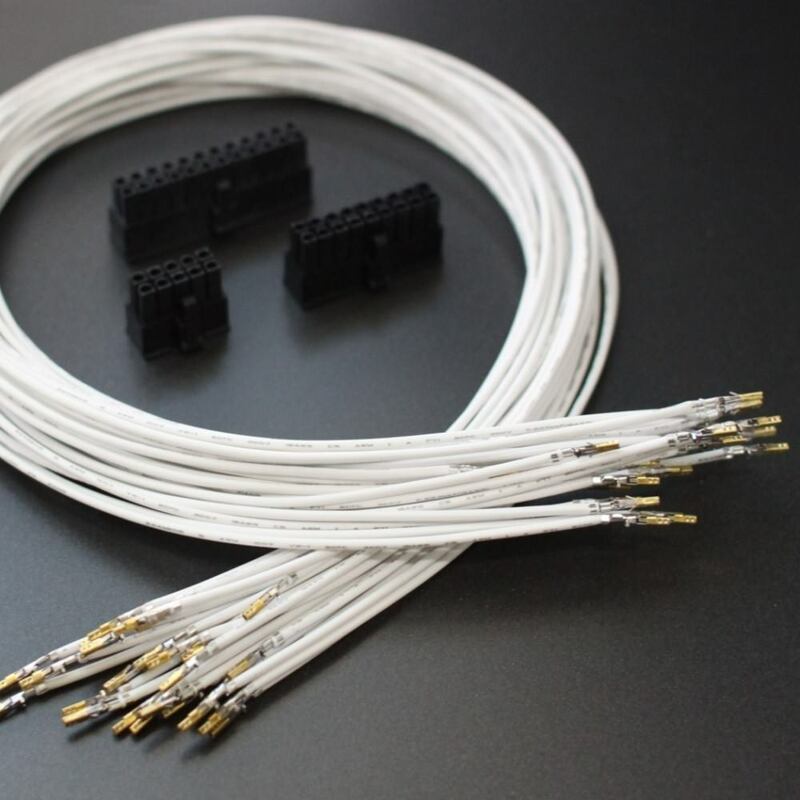 Each set comes with all the materials you need to get started, including corresponding connectors and pre-crimped wires with gold plated pins. Just sleeve the wires with whatever sleeving type/color you want and plug them into the connectors quickly and easily! Simply add "41" unit into the cart to buy these cables. Please leave an order remark for the cable sets that you need. Please feel free to contact us anytime if you have any queries. "I contacted ModDiy to have something like this done for my X-1050 and I will say Eric delivered a really good quality product. The cables were really easy to work with and saved me tons of time and above all FRUSTRATION. Click the button below to add the Premium Power Supply Modular Cables DIY Premade Electrical Wires Kit to your wish list.